Are you in Covina, California? 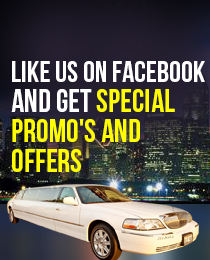 Then, contact us the next time you need to rent a limo in Covina. We are one of the most sought after limo services in Culver City and for all the great reasons. When it comes to a good limousine service in Covina, the most important factor is the fleet of cars it provides. With us, you get the most luxurious, lavish and spacious limo rentals in Covina. From Executive Sedan to Black Lincoln Stretch, from Chrysler to Hummer, we have every kind of luxury limousine rentals in our fleet. The best part is that all the cars are no more than 3 years old. At ULC Limos, we take pride in giving you the best customer service possible. If you are not sure on which of these beautiful cars you’d like to rent, then don’t worry. Our representatives will listen to your requirements carefully and offer you the limo in Covina that’s best for you. We rent limos in Covina for all kinds of occasions, including Bar Mitzvahs, weddings, bridal showers, proms etc. Which Covina Limo is Right For You?